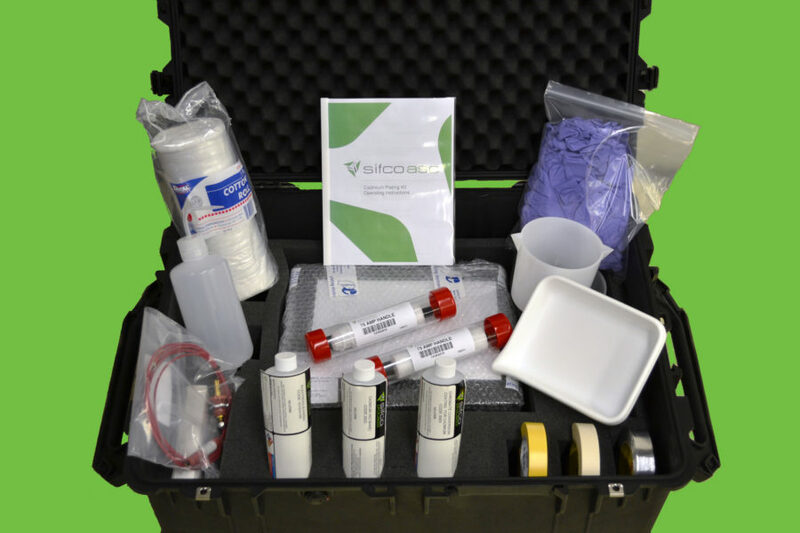 SIFCO ASC portable travel kit allows for on-site touchup applications. The kit, specifically designed for the aerospace industry, is ideal for cadmium or zinc-nickel touch-up services and AOG operations where repair times are critical. The kits feature the maximum amount of cadmium or zinc-nickel solutions allowed for shipment via commercial and private ground carriers. When an aircraft is grounded for critical repairs, revenue is at risk. The portable travel was designed for situations where time is of the essence. The SIFCO ASC kit contains everything a trained technician needs to quickly make touch-up repairs and get aircraft back into service. Please download this brochure to learn more about the Zinc Nickel Touch Up Kit.